Driven by strong winds and dry conditions, the blaze dubbed the Camp Fire roared through the town of Paradise, forcing the population to flee in a chaotic mass evacuation. 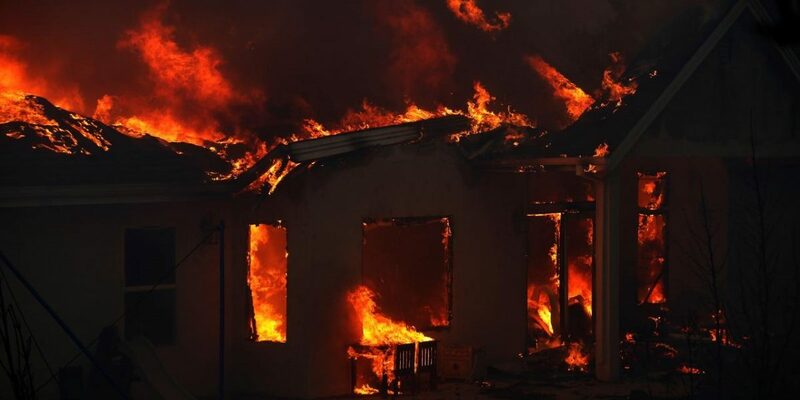 California: Three fast–moving wildfires burned in California on Friday morning, including one that spurred the evacuation of 75,000 homes near a city that was still reeling from a mass shooting. Voluntary evacuations of 75,000 homes were called for because of the Woolsey Fire that included parts of Thousand Oaks in Ventura County northwest of Los Angeles, the site of a mass shooting incident this week in which 12 people were killed. The Woolsey blaze was also burning in parts of Los Angeles County. Also burning in Ventura County was the Hill Fire, which had torched 10,000 acres by Thursday night, fire officials said. In Northern California, the Camp Fire advanced rapidly to the outskirts of the city of Chico early on Friday, forcing thousands to flee after it left the nearby town of Paradise in ruins, California fire officials said. Evacuation notices were set for homes on the east side of Chico, a city of about 93,000 people situated about 145 km north of Sacramento. Flames from the unchecked, 20,000-acre Camp Fire were being driven westward by 35-mile-per hour (56 km-per-hour) winds, fire officials said. The blaze earlier ripped through Paradise, about 20 miles east of Chico. “The town is devastated, everything is destroyed. There’s nothing much left standing,” said California Department of Forestry and Fire Protection (Cal Fire) spokesman Scott Maclean. Maclean said an as-yet unspecified number of civilians and firefighters had been injured, and it could be days before authorities would know whether anyone had died. Paradise, located on a ridge, has limited escape routes. 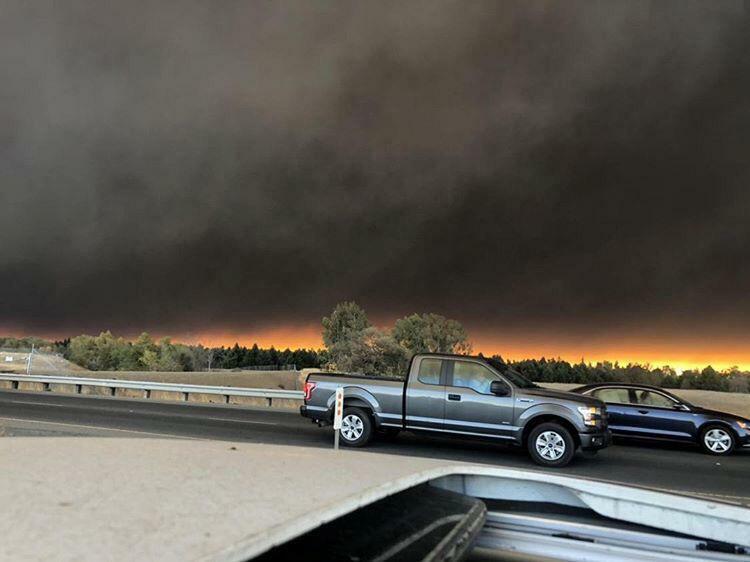 Traffic accidents turned roads into gridlock and residents abandoned vehicles and ran from the flames, carrying children and pets, officials said. One woman who was stuck in traffic went into labor, the Enterprise-Record newspaper reported. “It’s very chaotic,” said Officer Ryan Lambert of the California Highway Patrol. In Ventura County, “Strong Santa Ana winds (are) expected to continue through this morning,” the National Weather Service in Los Angeles said on Twitter on Friday. That helped double the size of the Woolsey Fire to 8,000 acres, fire officials said. Wind gusts of 80 to 113 kph were expected in the mountains of Ventura County and up to 50 mph in the valleys and coastal areas of the county, the NWS said. Travel was limited on US Highway 101 in Ventura County, state highway patrol troopers said. A former US Marine combat veteran opened fire in a bar packed with college students in Thousand Oaks on Wednesday, killing 12 people in an incident that stunned a bucolic community with a reputation for safety.